Happy Dies R Us Thursday everyone! Robin here with my Thursday inspiration of the week for your one stop shop for dies, Dies R Us! Valentine's Day has come and gone, so on to the next holiday St. Patrick's Day! For this card I started with a side fold A2 white card base. 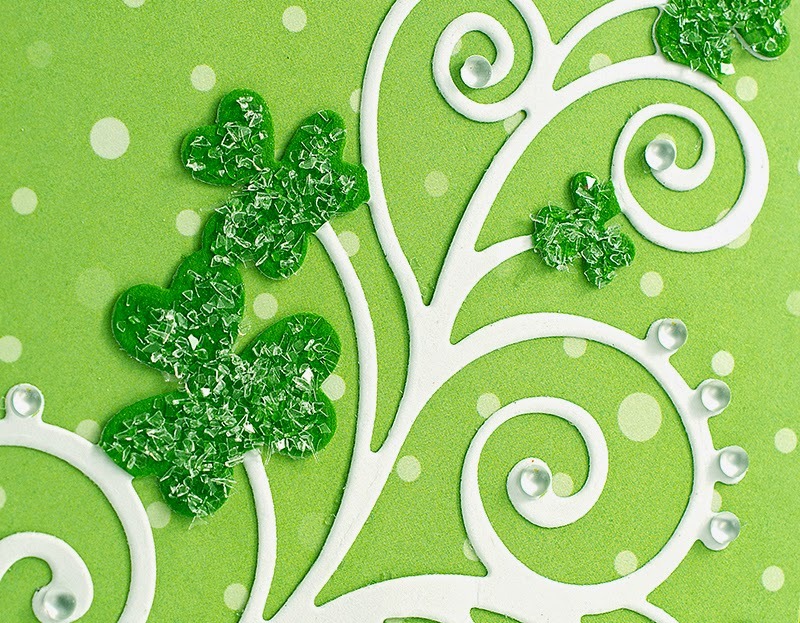 My flourish was cut from white card stock and green card stock using Die-Versions Shamrock Flourish. I cut out the individual shamrocks, glued them to the white flourish and added diamond dust to them. I stamped my sentiment onto a polka dot green paper and added the flourish. I layered the flourish panel to green card stock and added to my card base with foam tape. To finish the card I added a few round satin rhinestones. 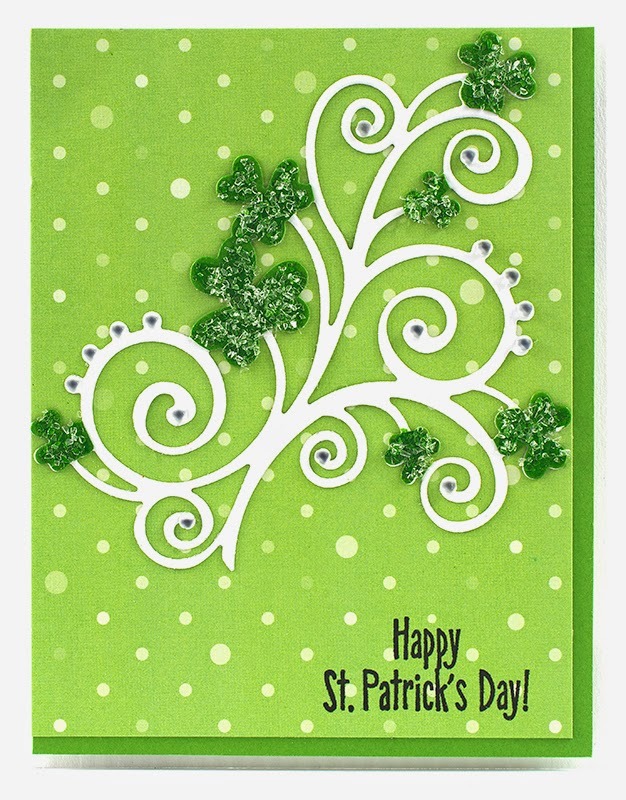 To make this card even more simple you could color the shamrocks using a green marker. Monday thru Friday the Dies R Us Design Team have some amazing inspiration for you! So be sure to check out the DRU Blog for more creative ideas. Dies R Us has a new challenge on the 1st and 15th of each month, see all the details at the Dies R Us Challenge Blog! You might be the next winner for a Gift Voucher! Love the simplicity of this card! So cute! !